Welcome to the home of Spartan Youth Lacrosse! The GAC boys Bantam (1st-3rd grade) and Lightning (4th-5th grade) teams both advanced to the 2018 GLL Championship games in Buford, GA. 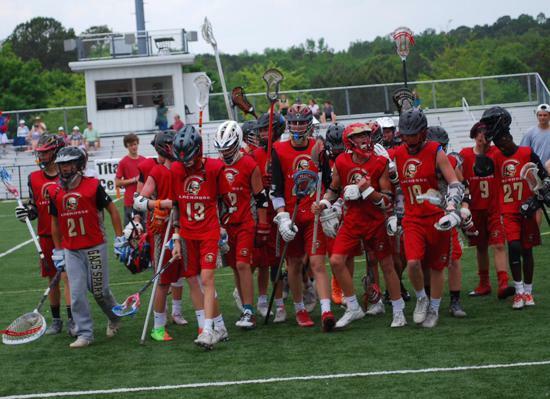 The Bantam boys posted a 8-0 regular season record outscoring opponents 59-19 before falling to Grayson in the Championship 6-9. The Lightning boys went 6-2 in the regular season outscoring opponents 66-26 before losing to Mt. View 5-8. This definitely sets the stage for a strong 2019 season. Practice begins Monday, January 28, 2019. All practices will be held on the GAC multipurpose field. This is a TENTATIVE schedule. We are working to move practice up for the youngest players to 5:30 PM. The middle school boys (7th-8th) and girls (6th-8th) AMSLL practice schedule will be published by Scott Ratliff. Not to be confusing, but a limited number of middle school boys in 7th grade may be asked to try out for the AMSLL team. GACS boys in the 8th grade will play for the middle school program in the AMSLL. Some 7th grade boys may be asked to try out for the AMSLL team. This program will not play in the GLL. Details can be found on the GACS website or contact Bill Trocchi at billtrocchi@gmail.com. The team will be coached by Bill Trocchi. GACS girls in the 6th-8th grades will play for the middle school program in the AMSLL. This program will not play in the GLL. Details can be found on the GACS website. The team will be coached by Stephanie Grove. GAC girls in 1st-2nd grade and boys in the 1st grade are encouraged to play in the GLL Sticklets program. The 8 week, Saturday program includes skills and scrimmages in each one-hour session. Stop back by frequently for updates. Please upload the required grade verification and physicals here. You will need to create a new GLL account. Don't worry, it's easy and fast. For more information, please visit here first. This is a new GLL system. You will need to create a new account with the GLL before proceeding. Please check the GLL site for game day schedules and locations. For the 2019 Season. 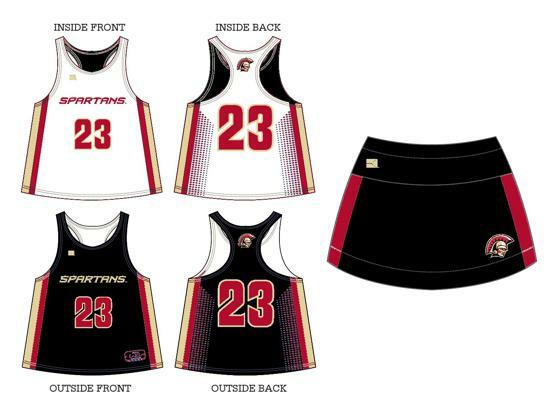 Reversible jerseys for home and away games. Coming Soon - Online Spirit Wear Store with shooting shirts, hats and more. If you are shopping for a helmet, choose black. Stinger helps us kick off registration. 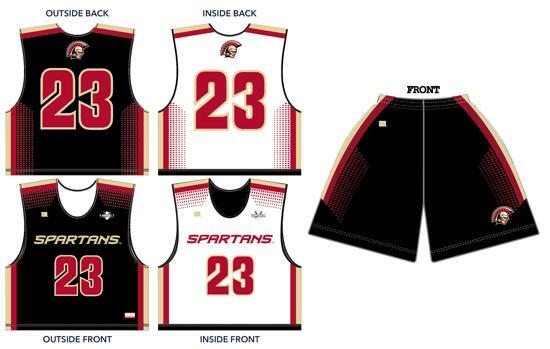 Registration is open for the 2019 Spartan Youth Lacrosse Season. Please click here to register. 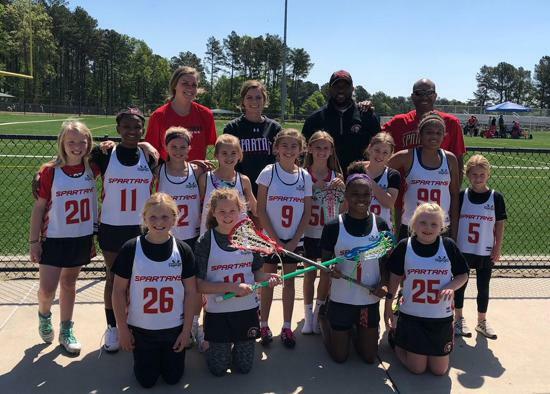 This registration is for girls in 1st-5th grades and boys in 1st-7th grades to play in the Gwinnett Lacrosse League. Additional tickets for GAC LAX families may be purchased! You must be registered by November 15th to take advantage of this opportunity.